GoPro is providing its innovative SaaS solutions for Advanced Case Management, and Advanced Fraud Investigation & Prevention case management through the Cloudstore on the UK Government G-Cloud 6 Framework. 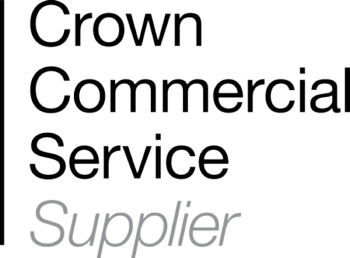 Cloud hosting partners such as Skyscape and SCC, leading services organisations such as IBM Global Business Services, CSC, and Concentrix, or a customer’s choice of services supplier(s) under a Collaboration Agreement can offer this service to customers. Advanced Fraud Investigation & Prevention (AFIP) – the most advanced commercial off-the-shelf (cots) case management solution for managing fraud referrals and investigation for public sector organisations such as government tax & benefits agencies, local authorities, law enforcement, court systems, and regulatory and investigative bodies. Advanced Fraud Investigation & Prevention (AFIP) for IL3 – for customers who require the AFIP Service to be delivered on an IaaS cloud hosting platform accredited to IL3. Advanced Case Management (ACM) – designed and built specifically to address the needs of large government agencies, where the requirements are defined by ‘extreme’ case and content volumes, numerous complex processes, large and diverse user populations, security (e.g. IL3/IL4), scalability & performance, and integration with numerous other systems. However, the system design allows ACM to be cost-effectively implemented in small departments or organisations without sacrificing functionality. Advanced Case Management (ACM) for IL3 – for customers who require the ACM Service to be delivered on an IaaS cloud hosting platform accredited to IL3. Specialist Cloud Services for ACM and AFIP SaaS Services – GoPro offers highly specialised services, from senior practitioners who are considered to be experts in their field, for the analysis, design, configuration, customisation, integration, implementation, deployment, training and support of its ‘AFIP’, and ‘ACM’, Self-Service, and Mobile Case Management software applications, which are deployed as SaaS Services, on-premise, or a hybrid thereof.